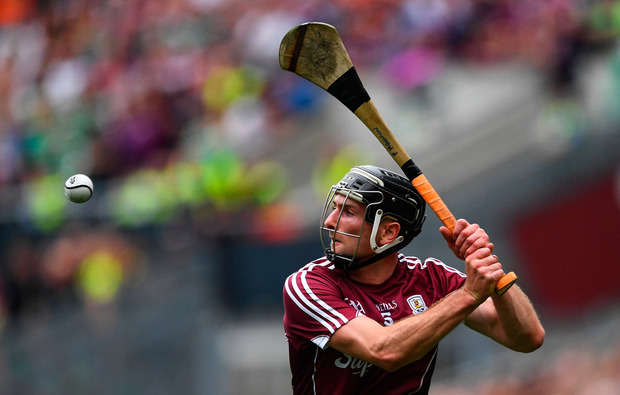 John Mullane has named Galway wing back Padraic Mannion as his Hurler of the Year despite coming up just short in the All-Ireland final against Limerick. Mannion, an All Star in 2017, was one of the few Galway players who stood up in Sunday’s final as he capped a strong season with another fine display in defeat. The 25-year-old is one of the standout candidates to claim Hurler of the Year along with team-mate and last year’s winner Joe Canning, while Treaty duo Graeme Mulcahy and Declan Hannon have also been tipped for the honour. However, speaking on The Throw-In, Independent.ie’s GAA podcast, John Mullane has made the case for Mannion to claim the prestigious award. “For me, I think it will come down to three – Padraic Mannion, Joe Canning and Declan Hannon,” Mullane said. 2019 is poised to be just as exciting a championship as this year, with little separating the top seven or eight teams as we enter into year two of the provincial round robin system. Mullane is expecting a similarly exciting season next year, and thinks Waterford could be the team to do a Limerick in 2019 and burst back into contention. “I’m not building them up but my own county have to be looking at the final and saying, ‘we’ve gone toe-to-toe with Limerick at minor and U21 and we went toe-to-toe with Galway last year’,” Mullane said. “We probably came up against a better equipped Galway team last year than Galway were in the final this year. Waterford have to be saying to themselves, ‘why can’t it be us?’. But I think the window is closing for us. I always say that teams have a four or five year window of opportunity and for this current Waterford team, it’s definitely next year or 2020 at a stretch.